Jain religion is an ancient religion. 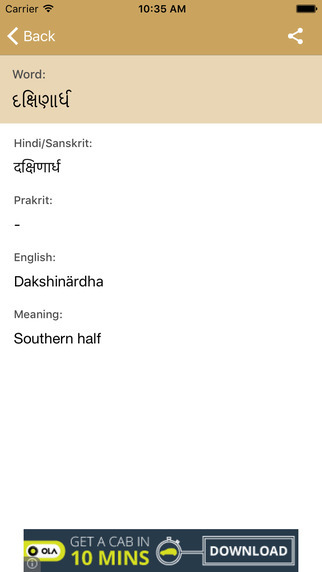 The original scriptures of Jain religion were written in Prakrit (Ardhamagdhi). 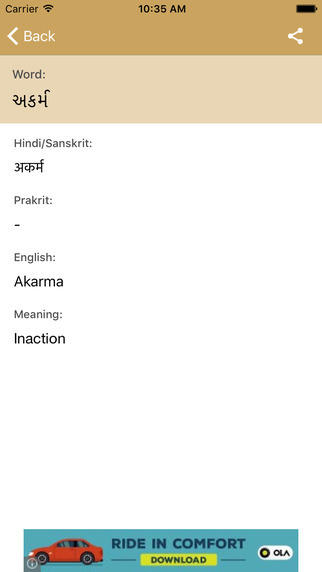 Many words and phrases used in Jain literature when translated in Sanskrit and other Indian languages carry different meanings than the usual ones. 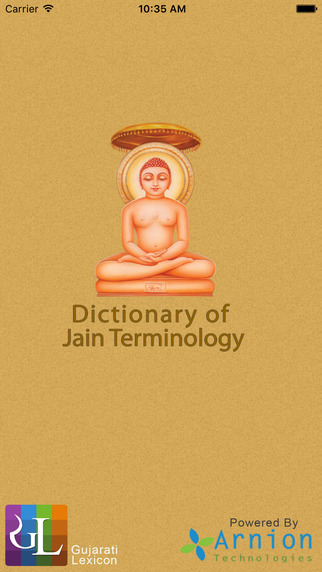 This compilation of dictionary of Jain Terminology is prepared to help an average reader, not well versed in the Indian dialects, understand the Jain literature better. This by no means is a complete compilation. If any words have been misinterpreted, we ask for the forgiveness of the users. 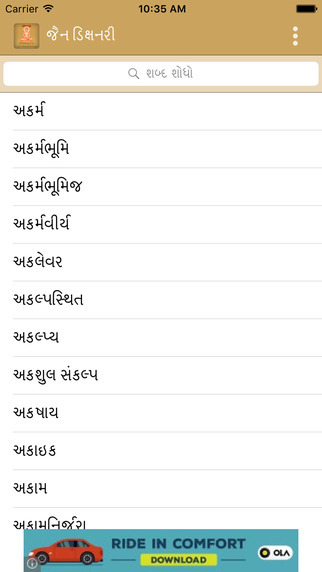 if any user is aware of new words with the meanings please submit them to our web site and we will be more than happy to include them in this dictionary. 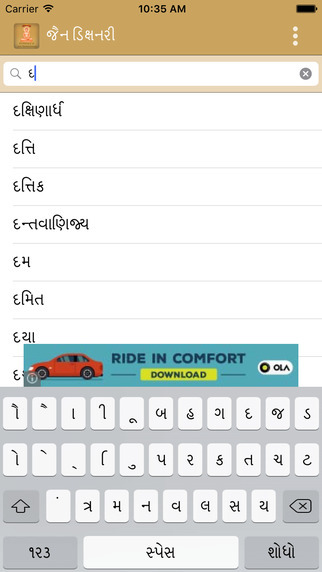 Gujarati Jain Dictionary is managed by GujaratiLexicon & Arnion Technologies.